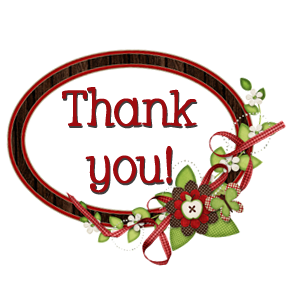 I want to thank all of you for visiting my blog throughout this past year. I have been truly blessed to have such wonderful readers. I am already working on some posts for 2013 and I can't wait to get back to blogging like I use to. I wanted to give a shout out to my top 10 blog referrers from this past year. (I didn't include sites like Pinterest or Google, just fellow bloggers.) I am so thankful that you linked to my blog in some way! I'm looking forward to an even better 2013! Great job, Marlana!! Happy New Year! Thank you for those cute ideas! I am a new blogger and would love to get my name out there in the teacher blogging world. I am a K teacher right outside of Nashville (Franklin). I am having a difficult time tapping in and friending other teacher bloggers :) Any advice/shout outs would be tremendously appreciated! Hi Marlana, you were one of the first blogs that I began stalking a little more than a year ago! My mother & I both got our bachelors at SMSU!! I am now teaching K in a suburb of KC and mom is retired in South Carolina. I saw you like to attend conferences! Are you going to Conference on the Young COnference at Tan Tar A? HI! I am your newest follower! Love your blog!